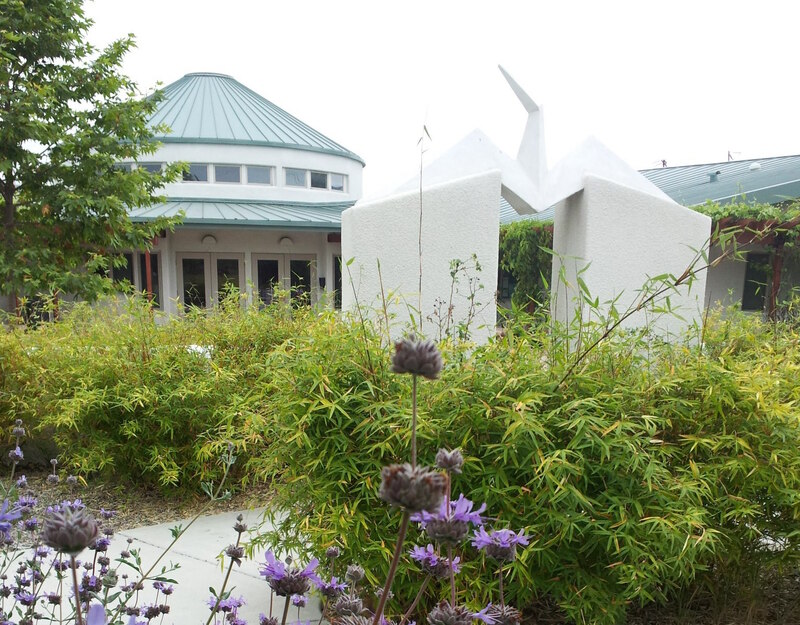 The PRC operates inside the Friends Center building, which is a collaborative enduring physical and visual statement to advancing peace, social justice, sustainability, and spiritual growth. The four partners of its construction and ongoing operation are the: First Church of the Brethren (COB), American Friends Service Committee (AFSC) US-Mexico Border Program, San Diego Friends Meeting (Quakers), and Peace Resource Center (PRC). We are demonstrating how people with common values can share resources and work together to create new models for social change and wise interaction with the earth. It is also a testimony to a combined commitment from dedicated community — construction involved a lot of volunteer time and donations, and even today relies on continuing coordination and assistance. In 2015, the management committee spent months investigating solar options and are on track to get panels installed in 2016!